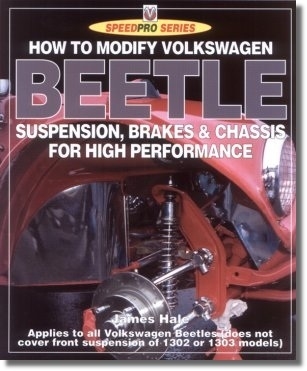 The complete practical guide to modifying the VW Beetle�s chassis, suspension and brakes for high performance. Detailed coverage includes parts interchangeability, aftermarket components and Buggy chassis shortening. Covers front & rear suspension, �chassis integrity�, suspension geometry, ride height, camber, castor, king pin inclination, shock absorbers and adjustment. The design of the different Beetle suspension and braking systems, including cut-away illustrations. Adapting Porsche braking components to the Beetle. Lowering or raising the suspensions. Appendix of US and UK suppliers. Listing of all VW Beetle chassis numbers and transmission codes. Contents: Chassis, suspension & brake design; Front suspension & brakes; Rear suspension & brakes; The chassis; Suppliers index; Appendix of Chassis numbers & transmission codes; Glossary of terms. Specification: Softback. 250 x 207mm (portrait). 128 pages. 200 black & white photographs/illustrations. 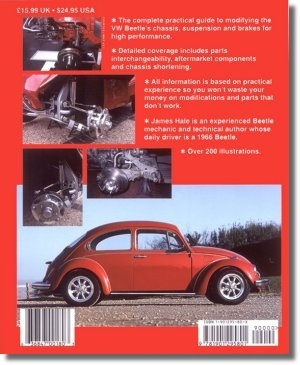 �The book to buy if you�re thinking of modifying your Beetle�this book will not only be extremely helpful, but also easy to understand. James Hale has clearly done his homework�.so if you want to fit Porsche brakes, or CSP discs, it�s all in here�. Volksworld magazine. �The writing style is very instructive, never assuming too much knowledge yet never seeming patronising. 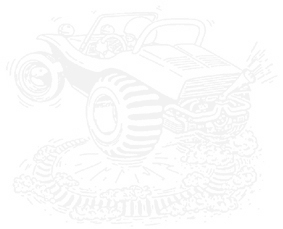 Indeed, everything from the basics, like the fitting of oil seals, to more complex operations such as cutting and welding the chassis, are covered in the same informative tone�an excellent new book�. Which Kit? Magazine. Click here to order your copy now, direct from Veloce Publishing.